Workers’ compensation insurance is a necessary expense for New York businesses that have employees. This insurance protects a company and pays for employees who suffer workplace injuries. However, the cost of carrying such insurance is outrageous. In fact, New York tops the charts for having the highest rates in the entire country. For a while, California was the top contender. Now, the state drops to the #2 spot, with New York now reigning as the state with the highest workers’ compensation costs based on rates set forth on January 1, 2018. The national median rate is $1.70 per $100 of payroll. In New York, the cost is nearly twice that amount, at $3.08 per $100. At 181% of the median, this is a 27% increase from 2016. California’s costs have actually decreased and are at $2.87 per $100, which is still very high. In third place is New Jersey, with companies spending $2.84 per $100 of payroll. Oregon, which sponsored the study, is one of the least expensive states, spending just $1.15 per $100. The state paying the lowest amount is North Dakota, at a mere 82 cents per $100. While studies show that workers’ compensation costs are on a downward trend overall, each state varies dramatically. Several states saw decreases of as much as 10 percent, while some states increase by 20 percent or more. 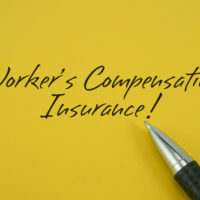 Given that workers’ compensation insurance costs are so high, many companies operate without it in order to save on costs. However, this practice is not legal. Each state has different workers’ compensation laws in place. Some require it for businesses with a certain number of people. In New York, all companies that have employees must carry workers’ compensation insurance. All types of workers must be covered, even family members and part-time workers, in non-profit and for-profit organizations. Sole proprietors and companies without employees are exempt from purchasing coverage. Not carrying workers’ compensation coverage in New York can be a misdemeanor or a felony. Penalties include fines ranging from $1,000 to $50,000. Employers could face a fine of $2,000 for every 10 days without coverage. If you have been injured in the workplace, and your employer does not carry workers’ compensation insurance, you do not have to face your damages on your own. You have the option to sue your employer to cover your medical bills, lost wages and other damages. All companies in New York that have employees must carry workers’ compensation insurance. Those who do not can face significant penalties. If you suffer a workplace injury and your company refuses to reimburse you for your medical bills and other expenses, you may be able to file a lawsuit against your employer. If you are facing issues with your employer over workers’ compensation benefits, contact the Law Office of Michael Lawrence Varon in White Plains for assistance. He can assess your case and advise you of your legal options. To schedule a consultation, call 914-294-2145 today.